Frederick County Executive Jan Gardner will have the chance to fill a vacancy on the eight-member Frederick County Board of Education with Ken Kerr’s advancement to the House of Delegates. Those interested in serving have been invited to submit their names. 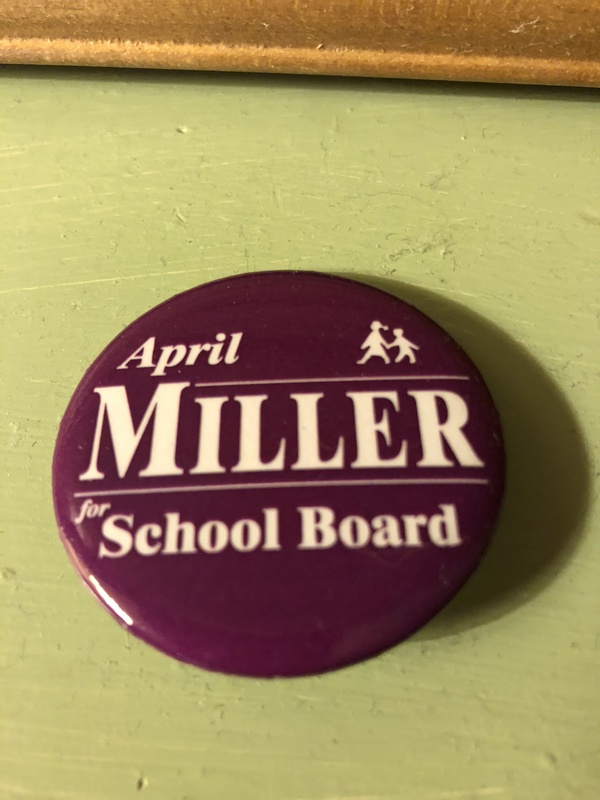 I myself am hoping that Gardner sees fit, despite party differences, to appoint incumbent April Miller to renewed service on the board, should Miller apply. The most obvious reason is at the ballot box: Miller ran fifth of eight for the four posts available, with 35,489 votes (unofficial), fewer than 2,000 votes short of what proved the cutoff. By comparison, Camden Raynor, the 20-year-old (as of September) college student who made a bid for a seat and is said to be a prospect for the vacancy appointment, received 27,701, even with the powerful endorsement of the teachers’ union (“Apple Ballot”). The strongest reasons to support Miller, however, are substantive. To begin with, she has done a fine job on the board over her two terms, winning praise for constructive engagement even from board members with different priorities. Like colleague Elizabeth Barrett, sometimes seen as her opposite number on the board, Miller is known for thinking for herself and asking uncomfortable questions. The wider question is whether it is a healthy development, in a county where conservatives make up around half the electorate, to wind up with a school board with no conservatives on it at all. The alternative is one consisting pretty much exclusively of present or past Apple Ballot endorsees. (The union declined to endorse Barrett this time around; she won anyway.) On many issues, absent Miller, there will be no voice raised in dissent, no one to ask certain types of questions or frame objections. In short, there will be a shortage along a very relevant dimension of ideological diversity. Though nominally non-partisan the school board is all but partisan in practice, so this means asking CE Gardner, a Democrat, to overlook party lines and appoint a known Republican. On the other hand, that’s the sort of thing successful managers do: Gov. Larry Hogan has appointed Democrats to many high posts, part of the centrist appeal that has enabled him to win over Democratic moderates. At a moment where eager Democrats are no doubt applying for the spot, it might take a magnificent gesture on Gardner’s part. But it’s one we could use right about now. More: Tom Neumark letter to the editor in the FNP. Tom Neumark says many of the things I had been thinking about the county school board races. We really shouldn’t want a board entirely consisting of members raised to office through the political clout of the teachers’ union with its Apple Ballot. Yet that’s what we may soon find ourselves with. Two incumbents were denied the union’s endorsement this year, namely April Miller and Elizabeth Barrett. I don’t think it’s a coincidence that these two — though differing from each other in many ways — are both known for thinking for themselves, asking hard questions, and standing up for parents and families not always represented otherwise. It raises all sorts of conflict of interest for the education unions to place their members, retirees, and close associates in public offices regularly called on to resist union demands. Yet Frederick County is already much of the way down that road. Let’s not proceed further. Related: two school board hopefuls aren’t FCPS employees, but still have a less direct stake in compensation decisions, per this LTE from Stephanie Covati of Middletown. Please vote NO on Question D, a charter amendment promoted by the firefighters union at the intended expense of taxpayers and the general public. The provisions of D expanding collective bargaining are bad enough, but even worse are those subjecting the county to mandatory binding arbitration whose outcome — get this — must be funded in the county budget, no matter what the people’s elected representatives may think of it. Mandatory binding arbitration in the public workplace takes fiscal decisions away from those who are accountable to voters. It gives unions an artificial incentive to arrive at a bargaining impasse so as to call in an arbitrator who will always give them at least as much as management’s offer. It is also unfair to other employees who don’t get such privileges. In states like Connecticut and California, this system has done much damage to the finances and flexibility of local government, resulting in high property tax levels, cuts to other services, or both. I had been planning to write up the precinct results of the Republican primary vote for Frederick County Executive (data) but this map by Jordan Tessler tells the story in a picture. Councilman Kirby Delauter ran competitively in in-town Frederick and Brunswick as well as winning the county’s northernmost towns, which he has represented on the Council. That left him 10 points behind Del. Kathy Afzali, who swept suburban developments from Ballenger Creek to growth-vexed southeastern areas like Monrovia and Kemptown, as well as easily carrying Jefferson and her home of Middletown. Regina Williams showed localized strength, carrying five or six precincts east of Frederick around Libertytown and New Market. The overall lesson: the suburbanized areas are now where the Republican primary is won or lost in the county. In the 3rd District Senate primary, in which Delauter’s frequent ally Billy Shreve was far outdistanced (77-23) by businessman Craig Giangrande, it was once again the suburban and newer-home vote that had its way. Giangrande ran best in outlying parts of the district such as Jefferson, Oakdale, and Worman’s Mill, while Shreve tended to fare best in in-town districts. The four-way primary contesting two at-large seats, won by Phil Dacey and Danny Farrar, did not draw a strongly regionalized vote. My June 18 letter to the editor in the Frederick News-Post urged county political leadership to condemn the deceitful mailer series launched by state Democrats seeking to meddle in the District 3 Senate primary. I was responding to the first mailer in what turned out to be a series of six, ostensibly critical of councilmember Billy Shreve as being too close to President Trump but in fact sent to Republicans in the apparent hope of boosting Shreve’s chances of being the GOP nominee. The Democrats are going to drop about fifty thousand bucks into this primary on behalf of Billy Shreve. And the part that really is outrageous? Billy Shreve went on a radio show and laughed about it and said, “I share a lot of common interests with them. I like these guys.” He thinks it’s great. To me, I find it totally outrageous and it would be very destructive, quite frankly, if they’re allowed to get away with this. The next week I was a guest on Jennifer’s show and had a chance to discuss the issue myself. I can report that the series of six expensive mailers appears to have been an almost complete waste of the Democrats’ money: Craig Giangrande won in a blowout, 77 to 23 percent. 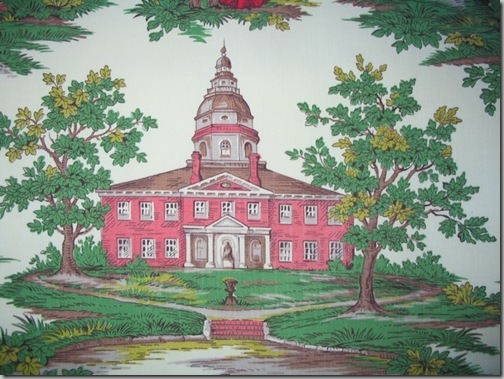 Check out this 17:23 podcast in which I’m interviewed by Patrick Hanes of Maryland’s WFRE. He wanted to know about think tanks, in particular, and our conversation led on to how those nonprofit groups affect the policy conversation, how Cato and other think tanks are adapting to changes in media formats and public consumption of information, my own background, and why I recommend the study of economics to every student.